Z-sport in very good condition. Priced to sell. Previous owner sadly passed away. Comes with all it should from new. Comes with makers plastic case, Zoli gun socks and barrel sticker. Comes with 6 chokes, choke key and thread cleaner. 2 Spare firing pins and other spare parts. Comes with makers plastic case, owners manual and Zoli gun socks.
. 12 bore . 3" chambers . 29 1/2 barrels with multi chokes. Ventilated top and side ribs. Over £3300 New! 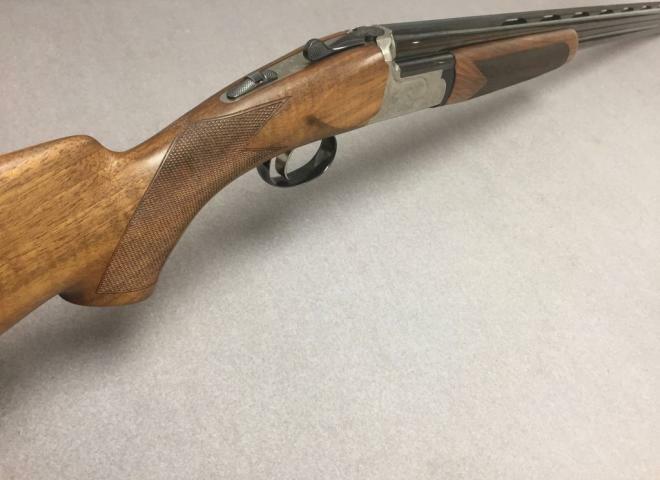 This gun is is in pristine condition and represents great value for someone. Same money as a Silver Pigeon but you get a lot more gun for your money. The Gun Room offers you the opportunity to purchase a, new Zoli Game Gun with 29 1/2" multi choked barrels, auto safe tapered rib. 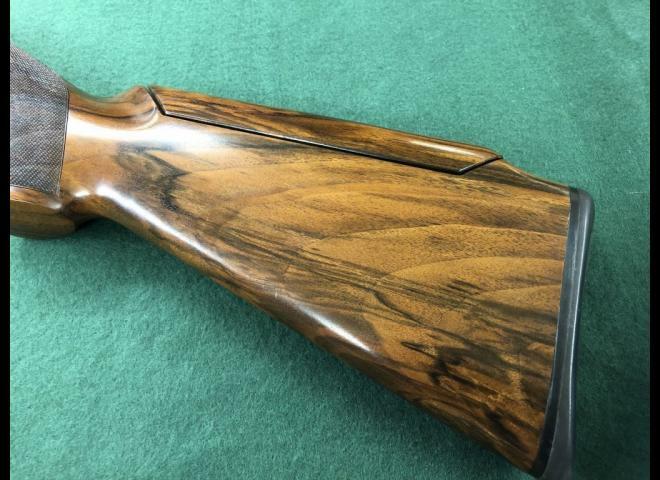 The Gun Room offers you the opportunity to purchase a new 12g Zoli Game Gun,with 29.5" multi choked barrels, auto safe with nice wood. Ex Demo, + Between the Hands Balance System, some minor marks on stock. VERY TIDY BLACK ACTION KRONOS. DEMO GUN NOT FOR SALE. 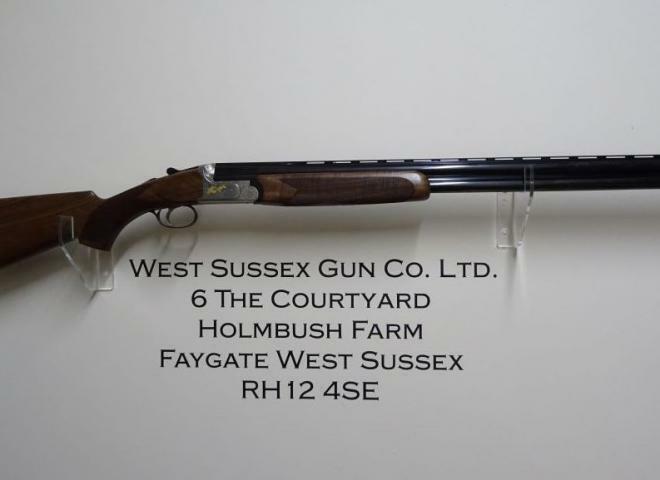 COME AND SEE A RANGE OF ZOLI GUNS HERE AT COOMBE FARM SPORTING, WE CAN HELP YOU WITH GUN FIT, WOOD CHOICE AND ENGRAVING PATTERNS, CONTACTS US TO DISCUSS YOU REQUIREMENTS, CUSTOM FACTORY VISITS CAN BE ARRANGED. Second hand Zoli Z Gun Extra, Monte-Carlo stock. one set of chokes ½ + ¼. Comes with makers cardboard box, owners manual and Zoli gun socks. Comes with 3 chokes and choke key. Comes with 2 chokes and choke key. 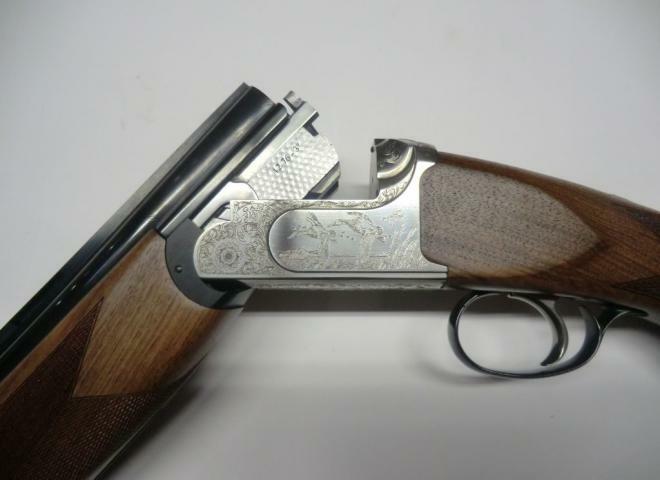 Lovely little game gun - Zoli does not carry the same reputation as Beretta or Browning but they are making good guns now. The Pernice is available in 20, 28 and .410 ga. and can be equipped with a second barrels. Barrels are totally silver soldered and equipped with a top solid Churchill rib. This Zoli Kronos is an Ex Demo gun and it handles like a dream, would be at home on the clay ground or in the field for those extra high birds . COMES WITH ABS CASE, 5 CHOKES AND 1 MONTHS WARRENTY WHEN PURCHASED. CASED AS NEW WITH ALL THE ACCESSORIES. 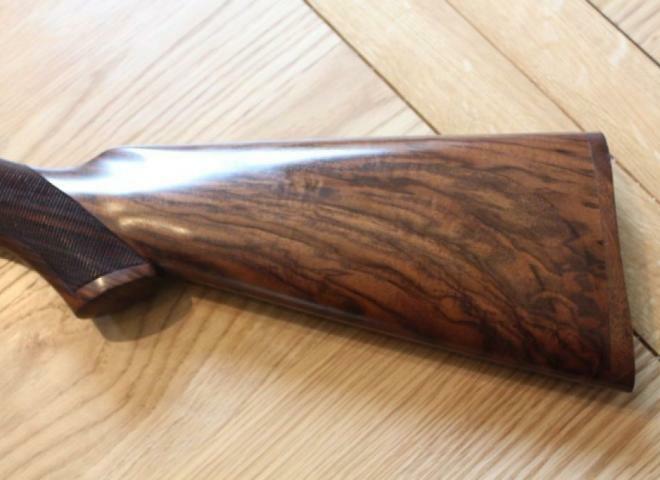 THIS DICKSON AND MACNAUGHTON EDITION ZOLI KRONOS IS A HIGH QUALITY SPORTER IDEAL FOR BUSTING CLAYS AND WOULD ALSO MAKE A GREAT HIGH PHEASANT GUN. Like brand new, only had 200 cartridges through the barrels. The wood grain is very curvaceous which looks great with the crisp finish of the engraving on the action, a fresh and clean looking gun. 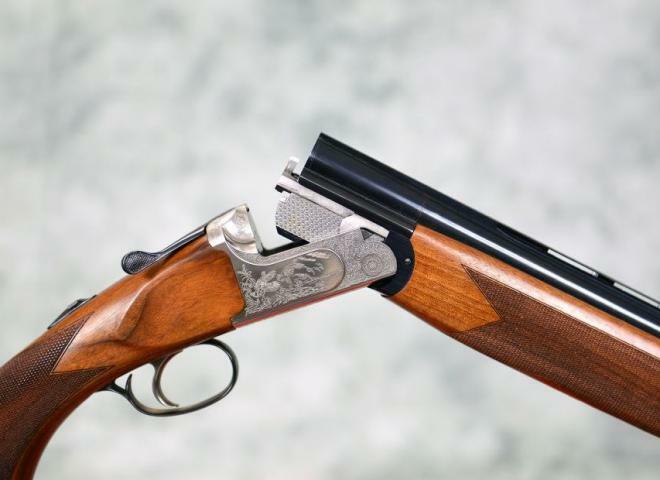 The Gun Room offers you the opportunity to purchase a new Zoli 20g Shotgun with 29 1/2" multi choked barrels. Quote reference number H2-390. 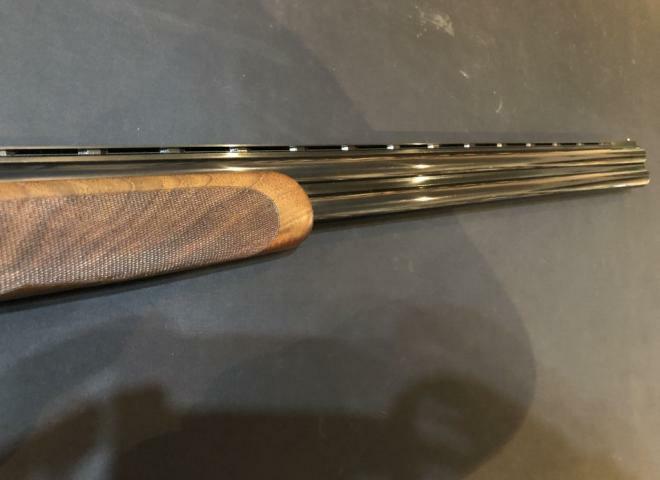 The Gun Room offers you the opportunity to purchase a new !2g Zoli Game Lux, with 291/2" M/C Barrels, game scene engraving, pistol grip and nicely figured stock. 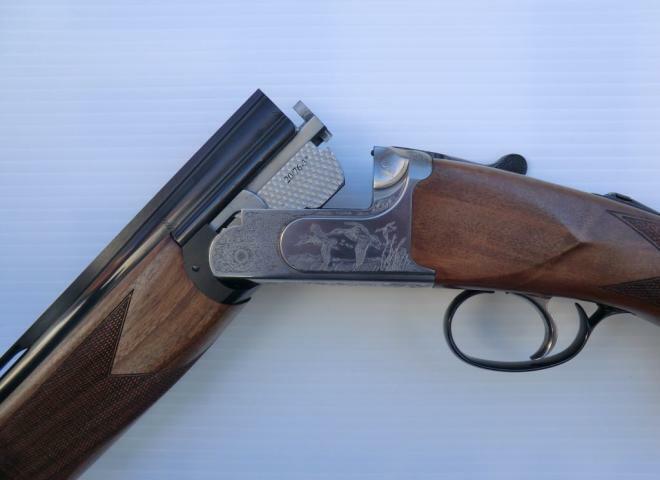 The Gun Room offers you the opportunity to purchase a new Zoli Game Gun, 12g with 291/2" M/C Barrels.